The Night of the Big Wind is still the stuff of folklore in Ireland. On January 6, 1839, an unexpected hurricane slammed into the Emerald Isle from the North Atlantic, decimating neighborhoods from County Mayo to Dublin and becoming the worst storm ever recorded in Irish history. Waves were said to have crashed over Irelands towering Cliffs of Moher in County Clare. Perhaps most striking was the weather pattern in the run-up to the storm: an unexpectedly strong snowfall on January 5 followed by a warm front on the Epiphany, colliding with a second cold front that would produce the first of the hurricane-force winds. The present political uproar over abortion law in Ireland”one of only three western European nations, together with Poland and Malta, which continue to ban the practice”seems to have arrived with similar ferocity. The warning signs, however, are decades-old. Ireland has been abortion-free, as pro-life group Youth Defence calls it, for as long as anyone can remember. The illegality of abortion has been codified in some form since 1861, and in 1983 the Constitution of Ireland was explicitly amended by the public to guarantee the equal right to life of the mother and the unborn child. The measure passed with sixty-seven percent of the vote in a decade when abortion restrictions were being repealed all around the world. Since then, global abortion rights organizations have aggressively targeted the island nation. The Irish Family Planning Association (IFPA), associated with the International Planned Parenthood Federation, violated Irish law repeatedly in the 1990s”most recently advising women to hide their abortions from authorities, putting womens lives in danger in the event of postoperative complications. And several thousand women receive assistance each year to seek abortions overseas in Great Britain, though the proportion of Irish women who receive abortions is dwarfed by the abortion rate in the United Kingdom and the Unites States. Meanwhile, Ireland has maintained one of the lowest maternal mortality rates in the world . It is safer to be an expectant mother in pro-life Ireland than pro-choice America or Britain. Irelands experience contradicts the legal abortion makes pregnancy safer logic, which perhaps explains why the pro-abortion movement has had its eyes trained on Ireland for so long. Ireland is an example of a healthcare system where the rights of both the baby and the mother are upheld equally”to the detriment of no one. The next chapter of the abortion debate unfolded in 1992, when the Irish Supreme Court ruled that women had the right to an abortion if the mothers life was imperiled by the pregnancy. Known as the X case, the decision sparked an ongoing debate about how to interpret the legislative mandate from the court, with successive governments reluctant to touch the issue for fear of upsetting the public. The attack on pro-life Ireland resumed with a vengeance in 2005, when three women accused Ireland of violating their basic rights under the European Convention on Human Rights by prohibiting abortion. A, B and C v. Ireland , as the case was known, was a major pro-life victory. In its ruling, the European Court of Human Rights threw out the notion that abortion was a fundamental human right. The latest uproar, which threatens to finally overthrow the pro-life consensus in Ireland, stems from the case of Savita Halappanavar, an Indian woman who miscarried and died of sepsis during her pregnancy in Galway. The case has become the rallying cry of abortion rights supporters, who maintain (along with Savitas husband) that her OB/GYN, Dr. Katherine Astbury, refused to provide her with a life-saving abortion. In response, Prime Minister Enda Kenny has proposed a bill that would clarify the abortion statute in Ireland, making a clear exception in the constitutional ban for cases of maternal health and including an unrelated provision allowing for suicide as a reason for seeking terminating the pregnancy. This hasnt stopped Kenny, who continues to insist he is a pro-life politician working to bring clarity to the law. Never mind that the organization representing Irelands doctors feels that the law is unnecessary , and never mind that countless medical experts have testified that abortion can compound the risk for women contemplating suicide. 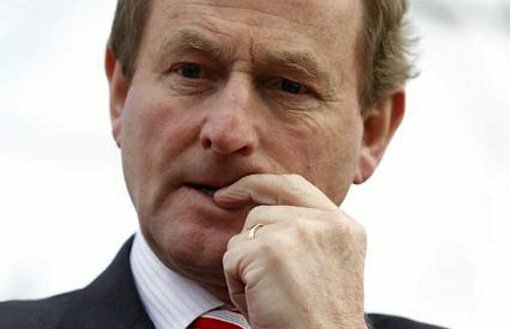 The result, whether Kenny intends it or not, will mean a fatal break in the Irish pro-life consensus. The suicide loophole, which allows a woman to have an abortion if she receives the approval of three doctors, will quickly be exploited when information spreads regarding who the doctors sympathetic to the pro-choice cause are (see the similar case of New Zealand ). And, within no time at all, Ireland will have de facto abortion on demand. But as opposition has grown, Kenny has hunkered down”realizing that the legislation has become a referendum on his government. Hes forbidden members of his party, Fine Gael, from voting their conscience on the bill, slated for a vote this summer. All the while, public opinion has held remarkably steady on the basic question of abortion. As of mid-2013 only thirty-nine percent of those polled supported abortion on demand, indicating little movement since 1983. Despite this, today a majority of the Irish public supports Kennys bill, swayed by the Savita case”not to mention other factors chipping away at the pro-life position for years, like the eroding influence of the Roman Catholic Church. What the public fails to see, however, is that the bill is only the first front in a long-planned, well-coordinated storm. John Aroutiounian is a student at Yale University.